…was founded in 1851, named after Death’s Door (Porte Des Morts), the passage that lies off the tip of the Door County peninsula where the waters of Lake Michigan and Green Bay converge. …is approximately 70 miles long, 18 miles wide at its widest point in the Southern part of the County and less than 2 miles wide at the northern tip of the peninsula. It takes more than one hour to drive from the county line in Southern Door County to the tip of the peninsula. 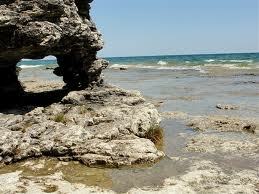 …has 300 miles of shoreline and is surrounded by water on three sides. Lake Michigan lies to the North and East and the Bay of Green Bay lies to the West. …has 34 named outlying islands. 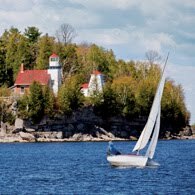 …has 11 historic lighthouses (one of the largest concentrations of lighthouses for any county in the United States). …has 23,000 acres of public and preserved land with 5 State parks, 19 County parks and lots of local parks, nature preserves and State natural areas. …has 53 Lake Michigan and Green Bay public swimming beaches with approximately 6.5 total miles of sandy shoreline to enjoy!